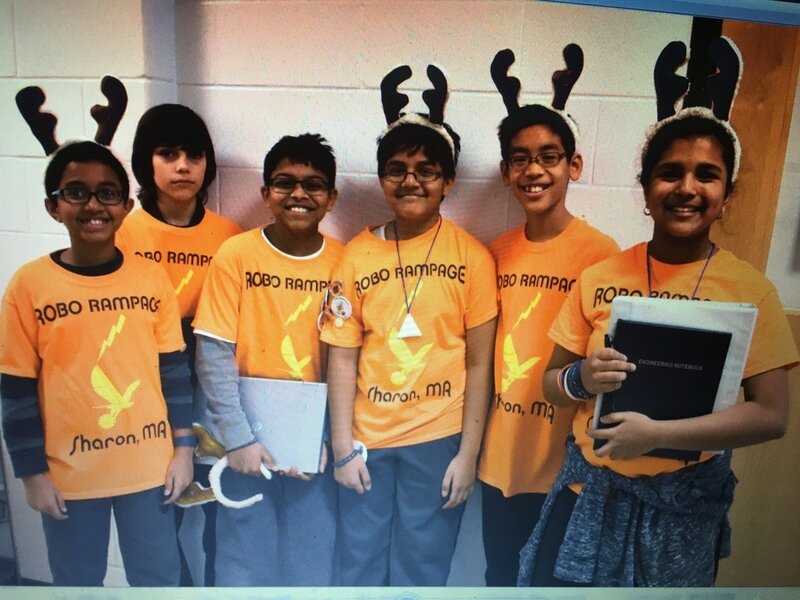 Our team, Robo Rampage, currently consists of a group of 5 students (current members are: Pooja, Soumil, Arun, Thanh, and Arjun. 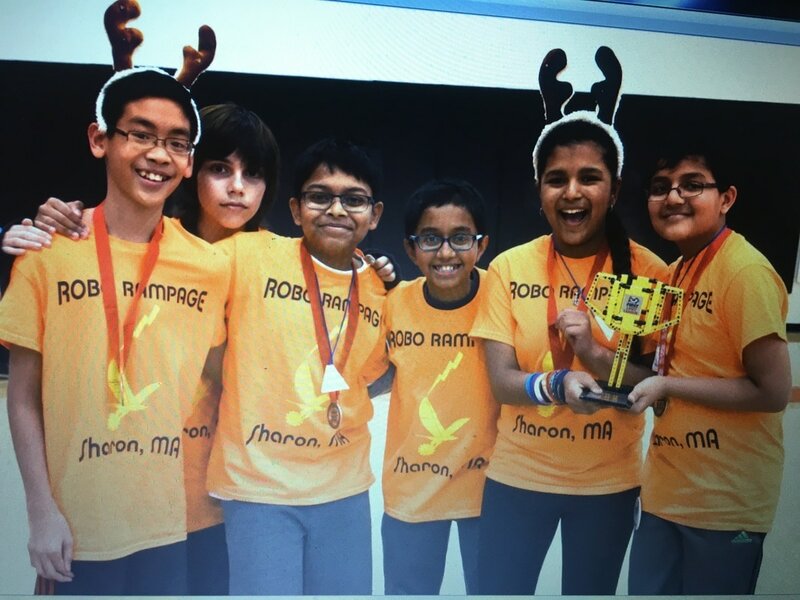 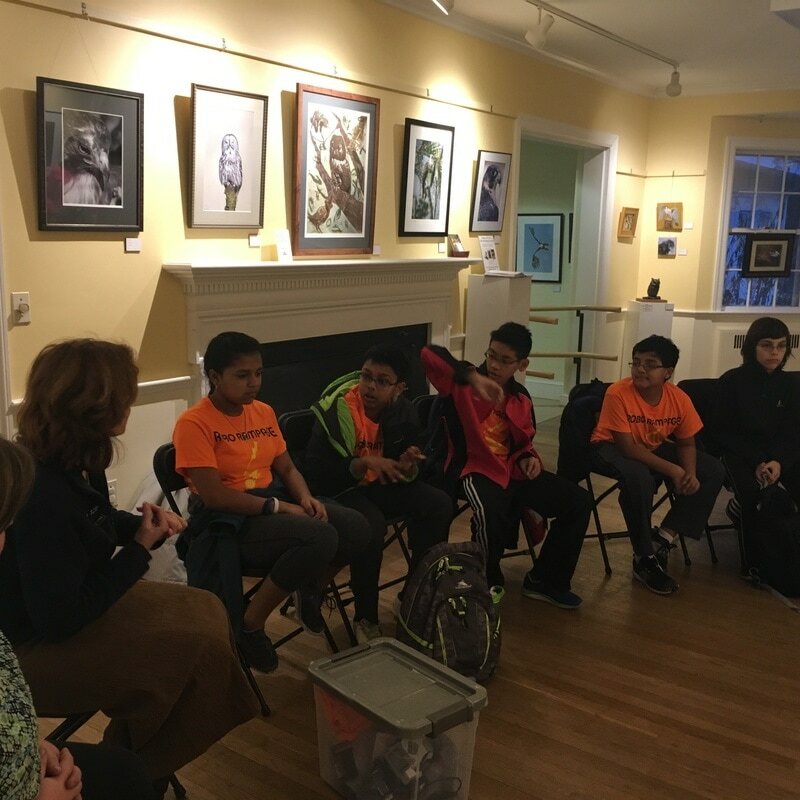 The middle schools we attend are Sharon Middle School, Galvin Middle School, and Delphi Academy which are located in Massachusetts. 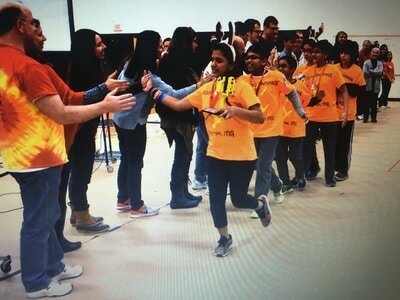 Our coach and mentors are our parents. 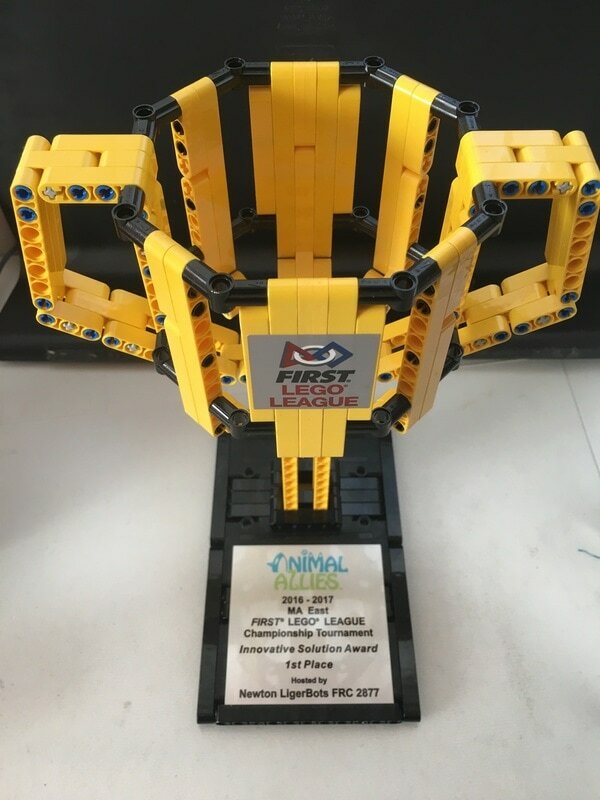 This is our 6th year with FIRST Robotics. We regularly meet twice a week for our preparations. We are learning science, technology, engineering, and math (STEM) while we work on our FLL programs. 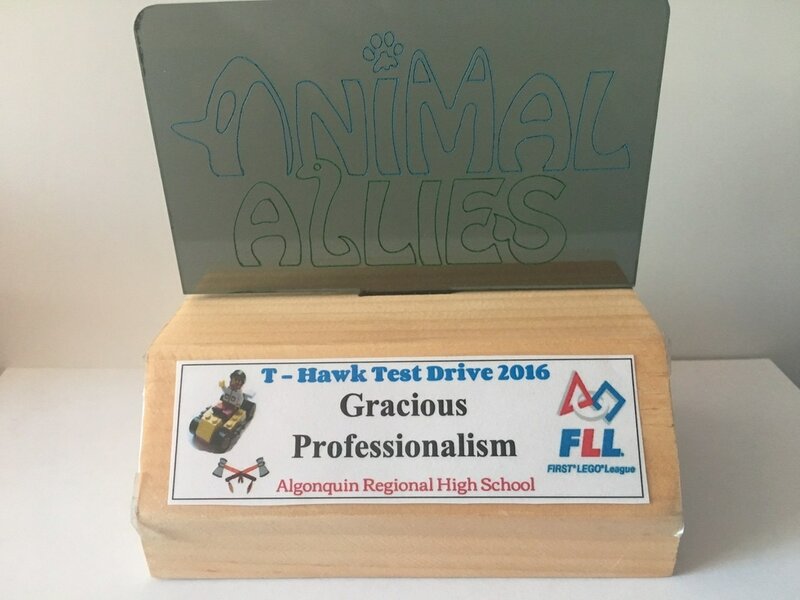 We are learning about "Gracious professionalism" and "coopertition" as well. We focus on sharing and working together. 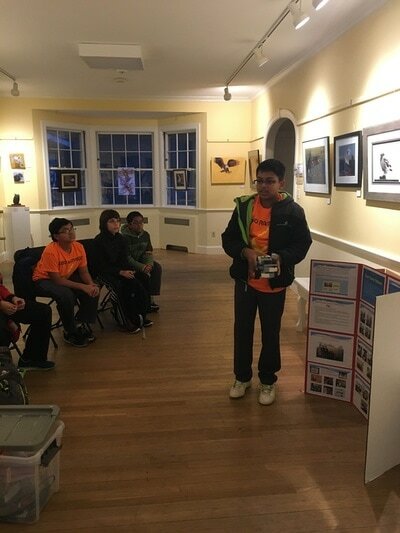 We are hoping to learn new things every year when we work on FLL program. 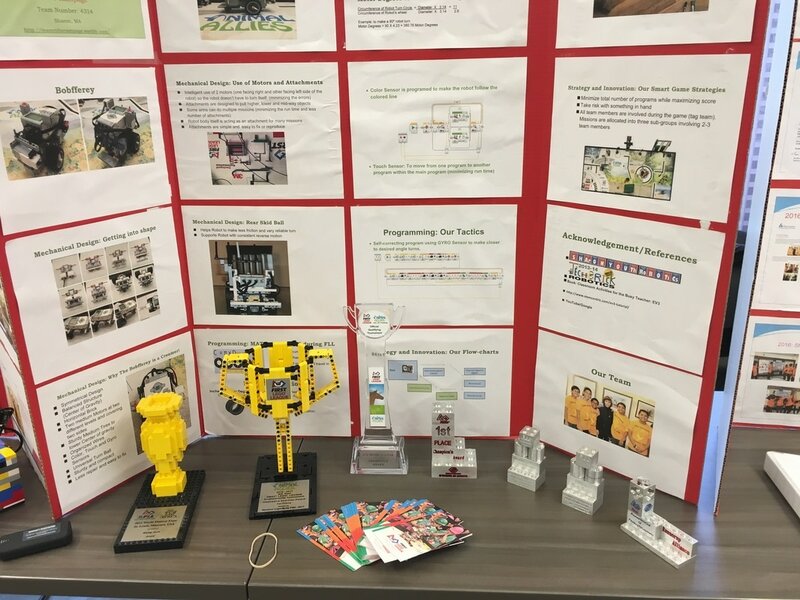 Last but not least, we would like to convey our sincere thanks to FIRST (FOR INSPIRATION AND RECOGNITION OF SCIENCE AND TECHNOLOGY) for organizing First LEGO League (FLL)! Latest NEWS: At the Revere regional qualifying competition, we again walked away with the 1st Place Champion's Award. 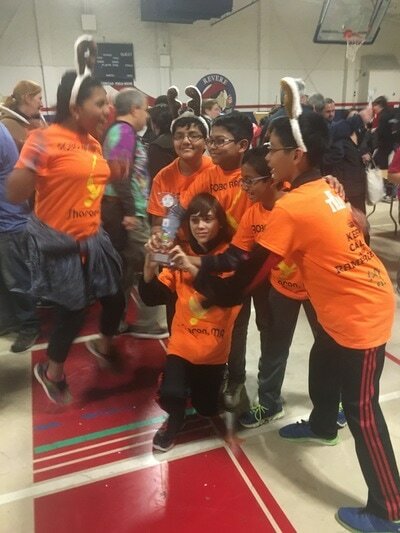 As we got the champion's award, we were guaranteed to go to the Massachusetts State Championship (West) that will be held on the WPI, MA Campus. 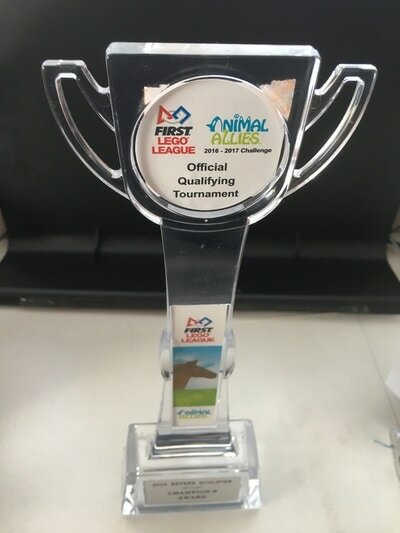 This was our Third time in receiving 1st Place Championship Award from a qualifying round and receiving a direct nomination for the State Championship. This was our 4th time in qualifying for Massachusetts State Championship. 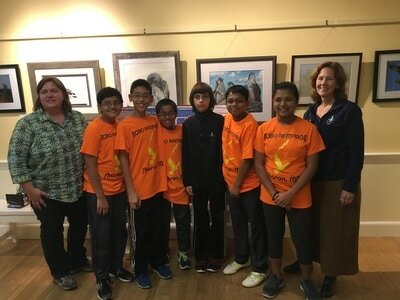 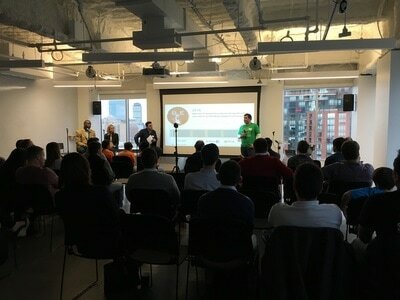 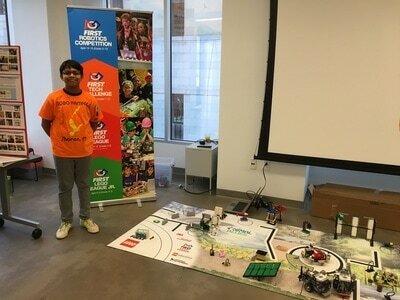 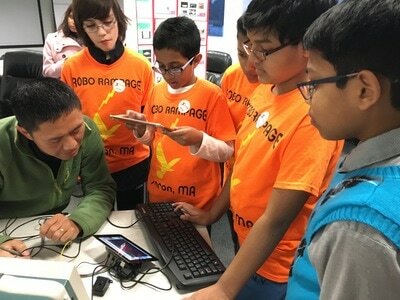 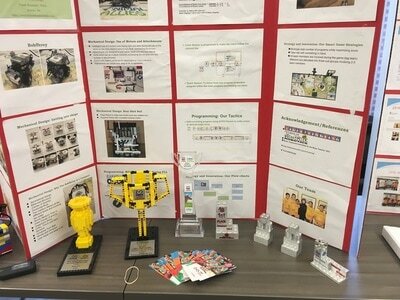 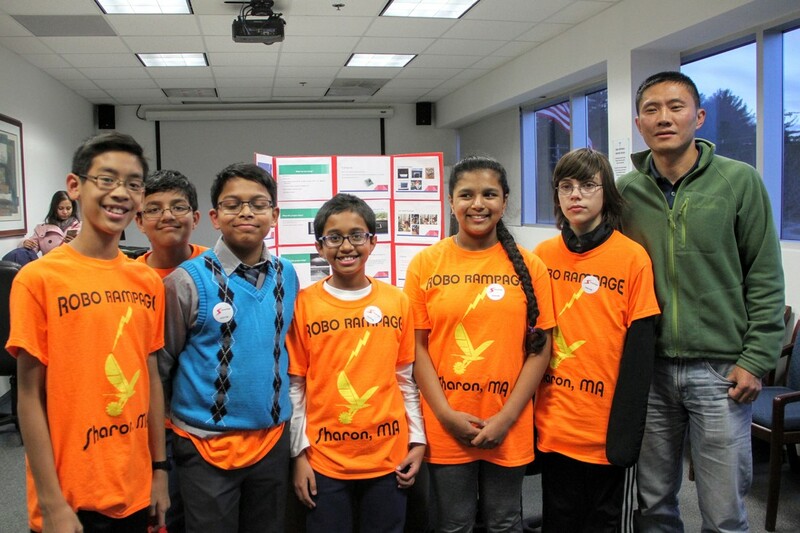 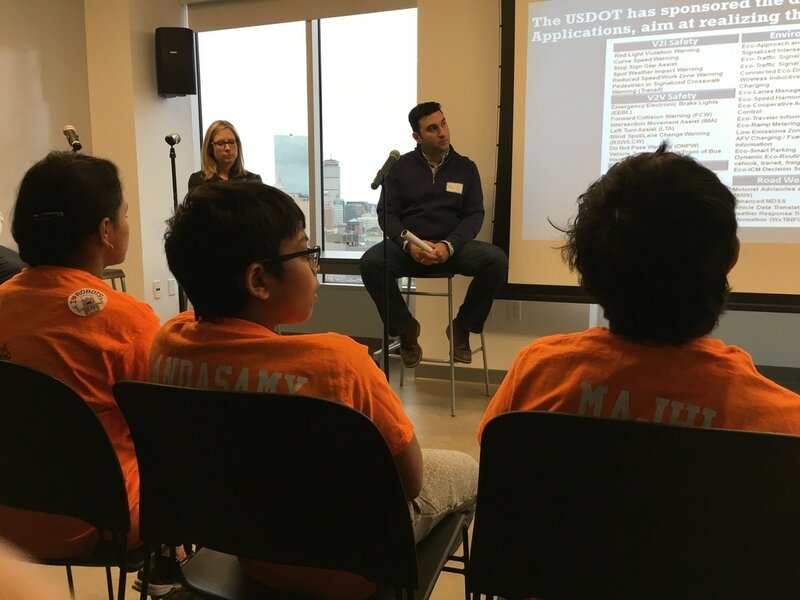 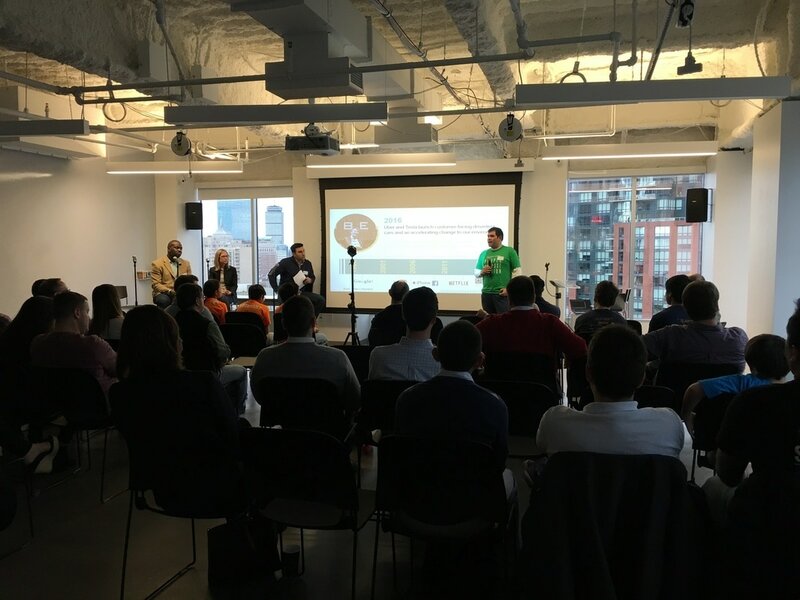 Team Robo Rampage has been nominated for the Global Innovation Award from the Massachusetts region! 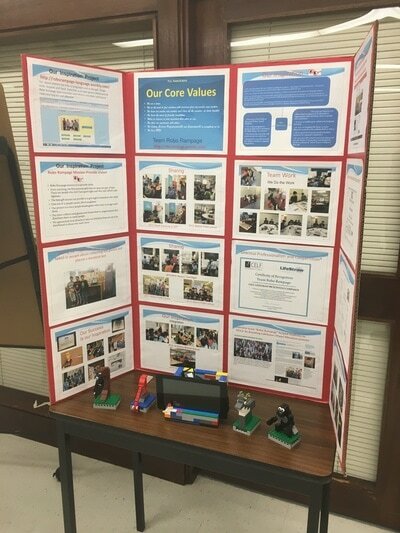 See below for a brief overview on our project. 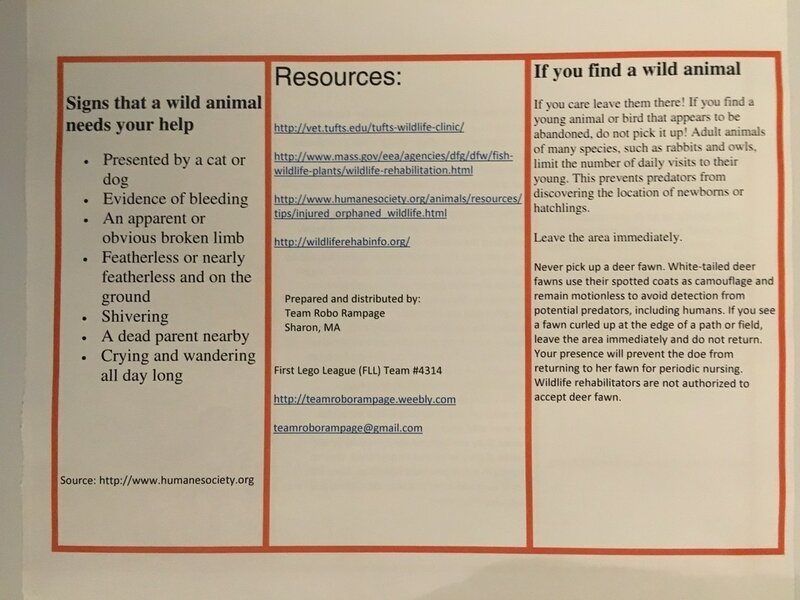 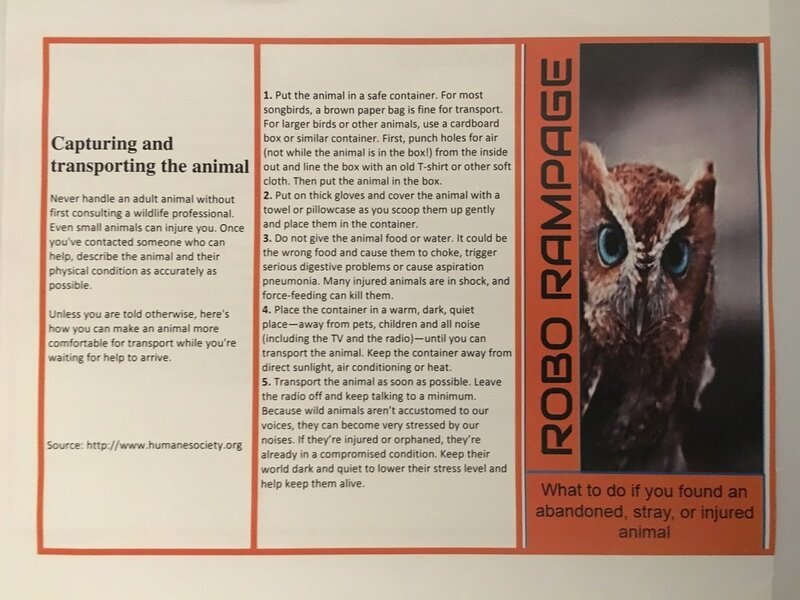 Our Project on Animal Allies: We chose to address the ongoing issue of drivers colliding into animals which can cause injury or even death to both human and animal. We have developed a system (Animal Injury Preventer, AIP) which could detect an warm-blooded animal on the road and alert the driver to brake. 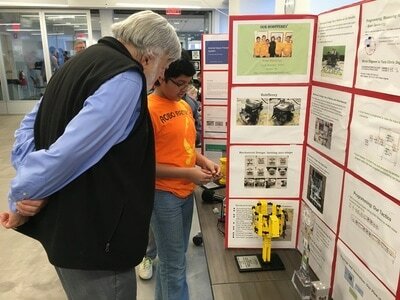 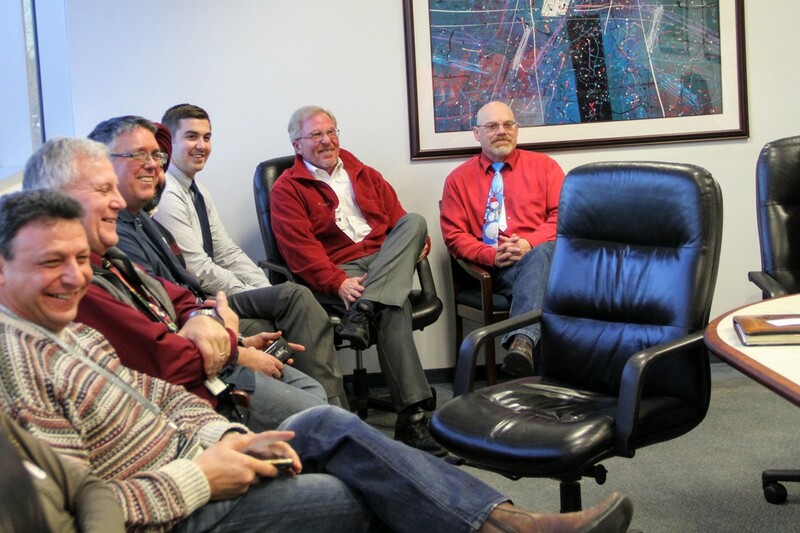 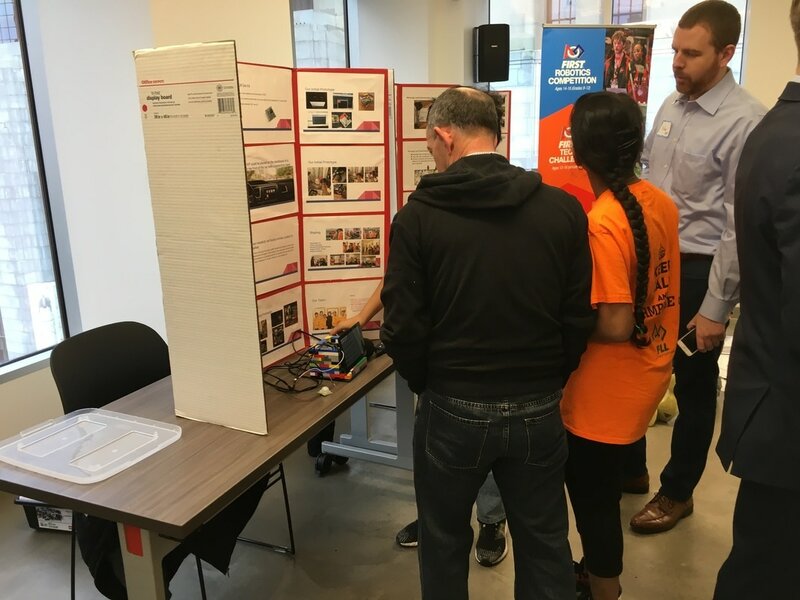 We have shared our prototypes with the experts at a local chapter of an international company that makes electronics and control devices for automobiles. 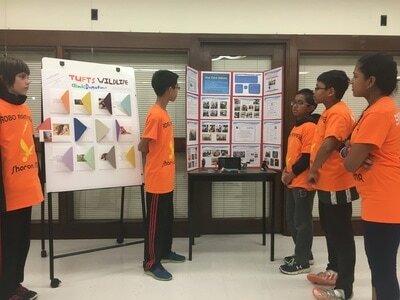 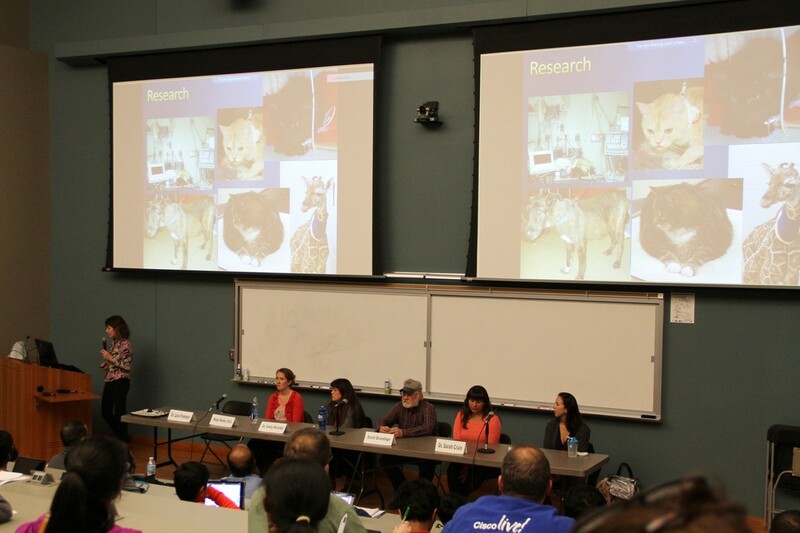 The experts there thoroughly reviewed our prototypes. 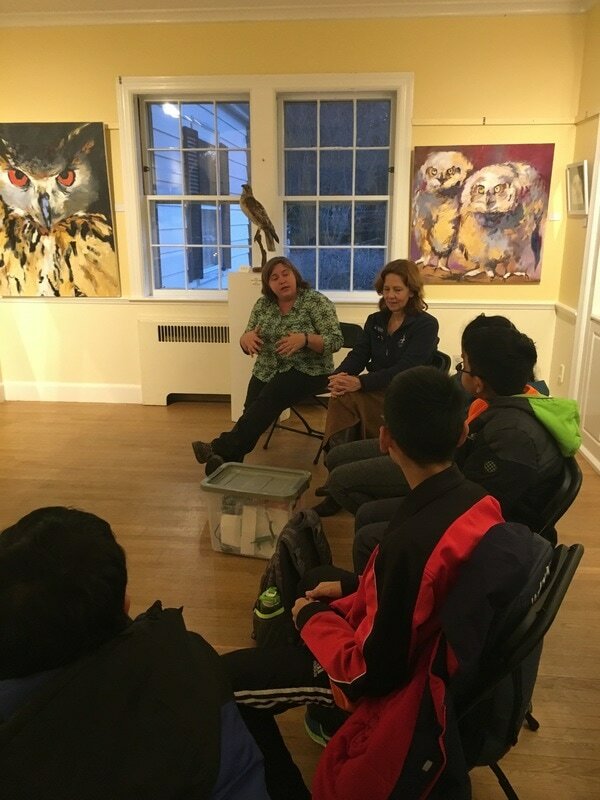 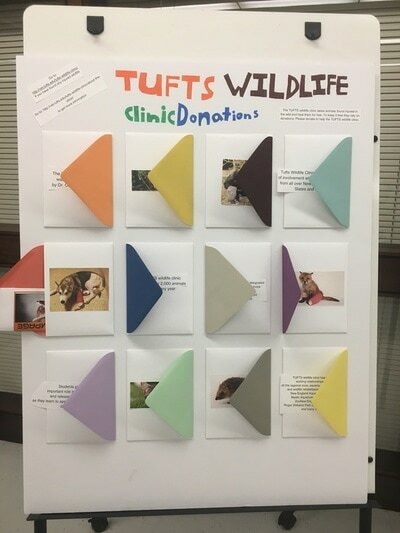 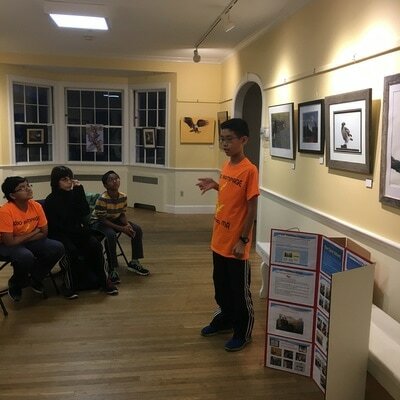 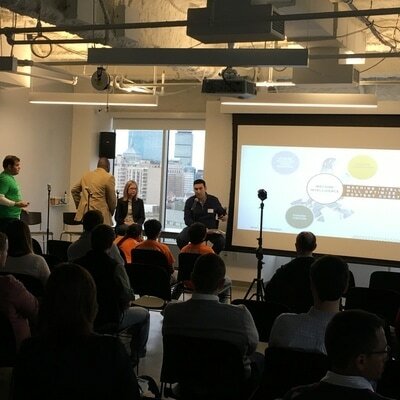 We also shared our prototypes with the experts at Moose Hill Wildlife Sanctuary (Sharon, MA), Tufts University, Booz Allen's Ideas Fesitval (Boston). 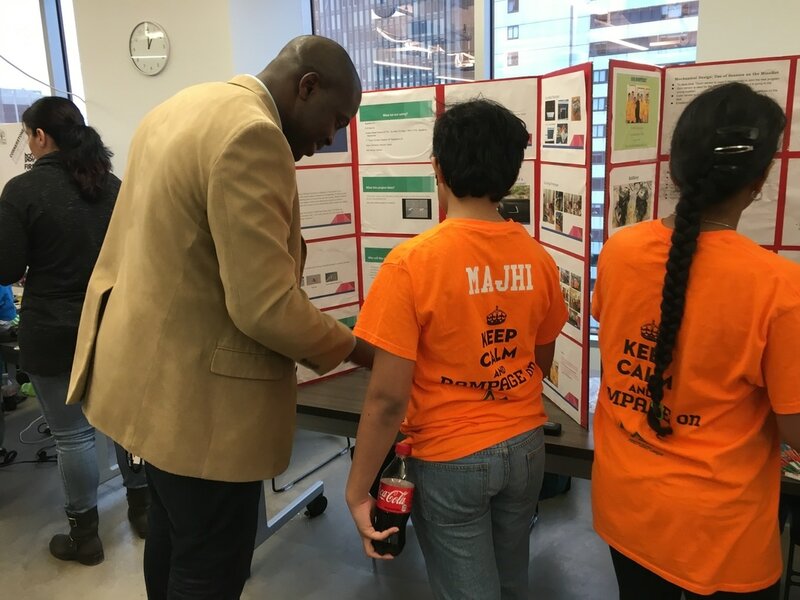 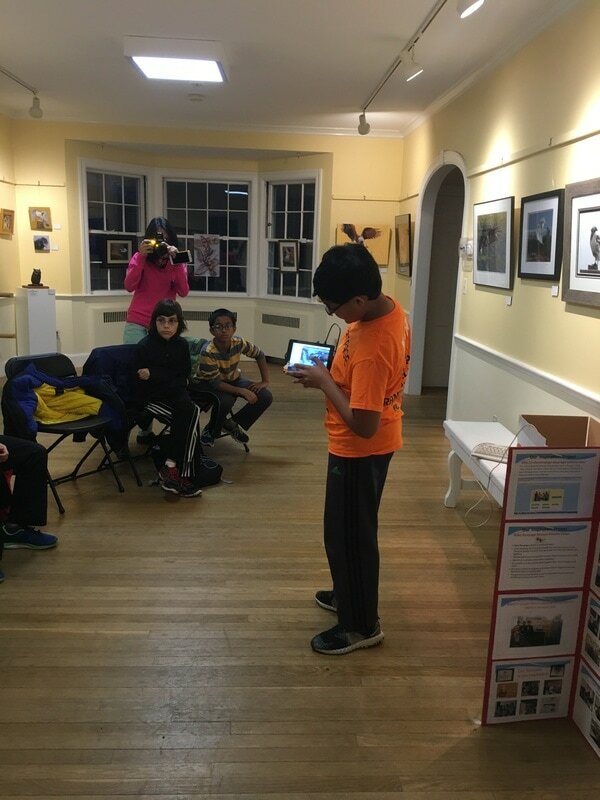 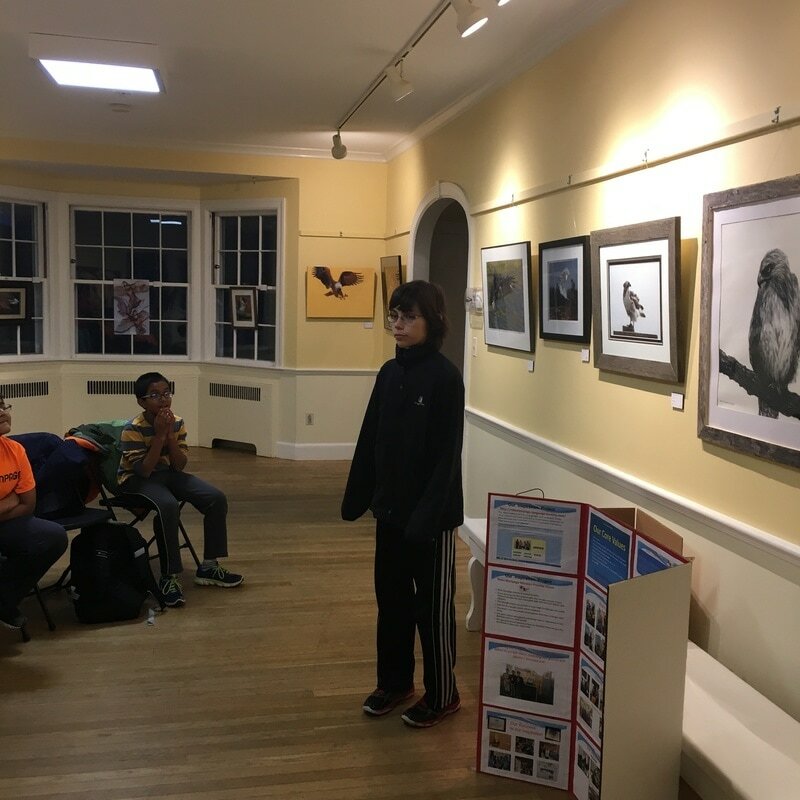 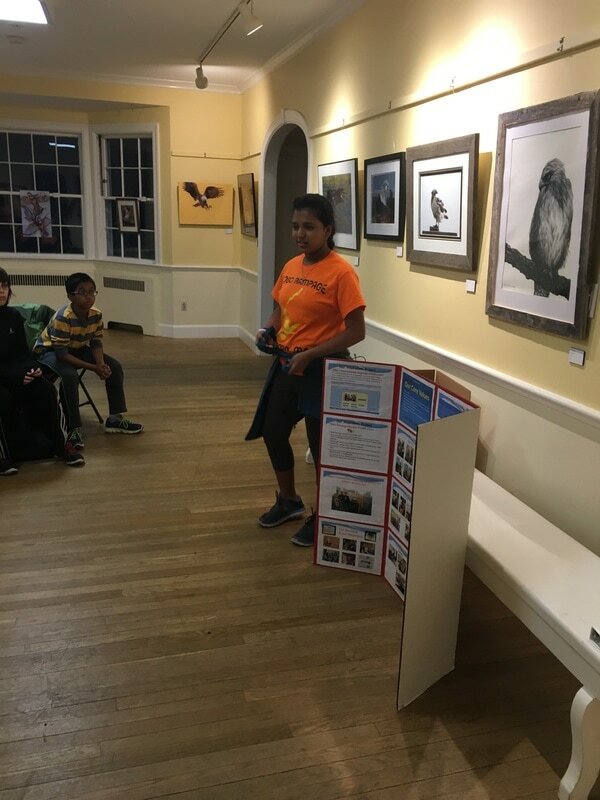 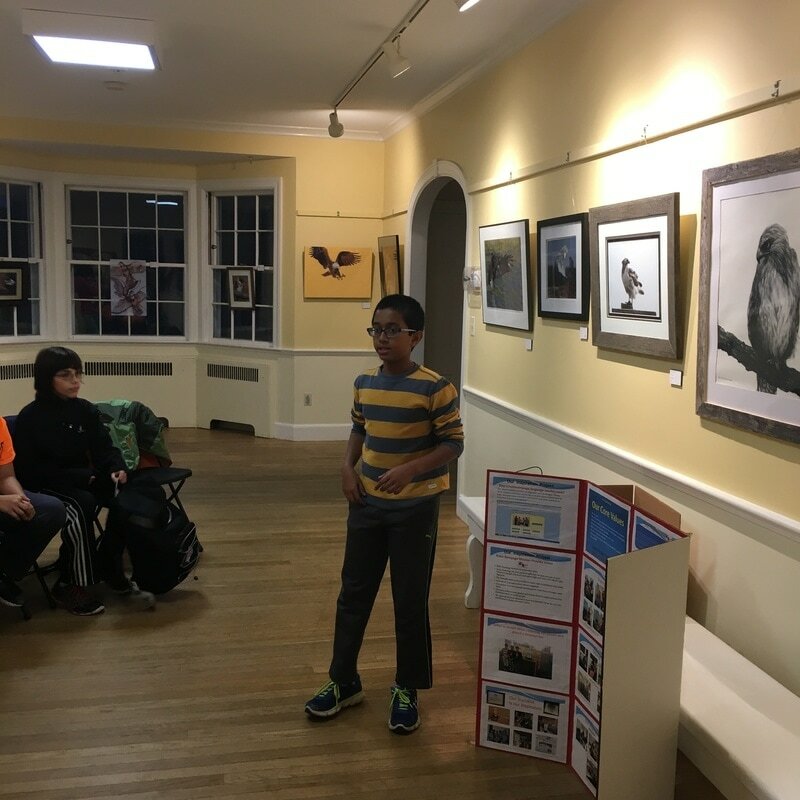 Finally we shared our projects ideas with our peers through our presentations at local library (Sharon Public library) and Schools. 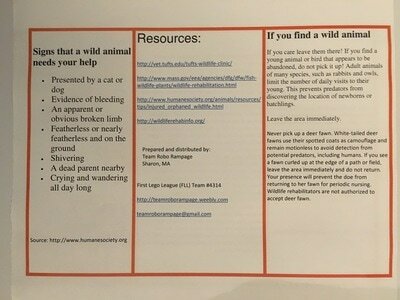 Refer to this blog posting on our team. 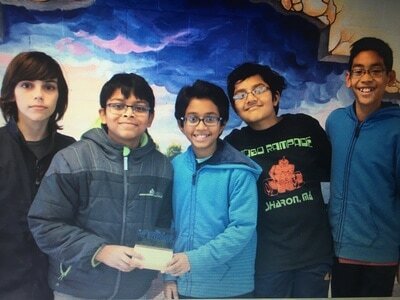 At the Revere regional qualifying competition, we walked away with the 1st Place Champion's Award. 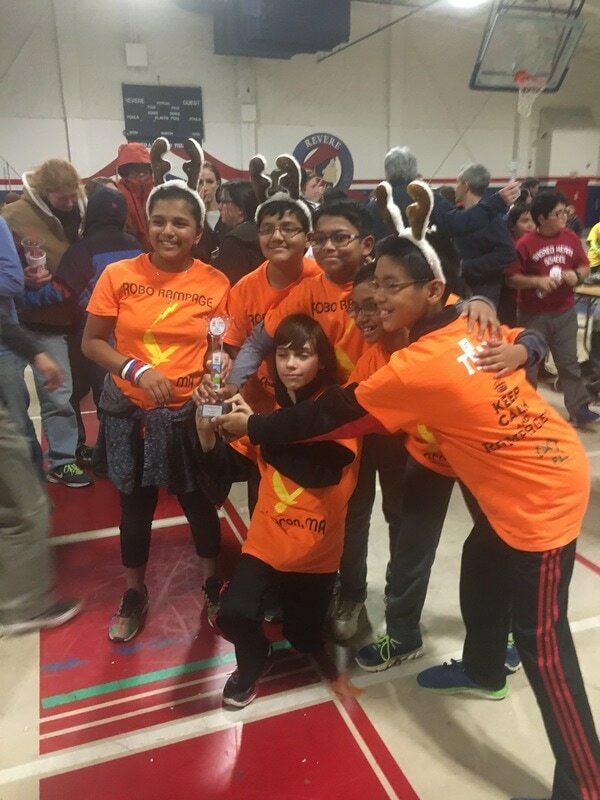 As we got the champion's award, we were guaranteed to go to the Massachusetts State Championship (East) in Newton, MA. 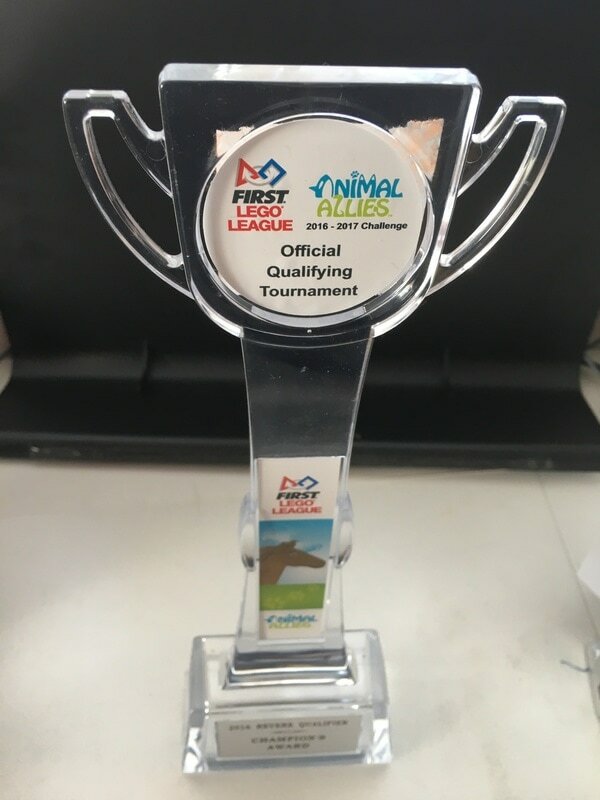 This was our second time in receiving 1st Place Championship Award from a qualifying round and receiving a direct nomination for the State Championship. 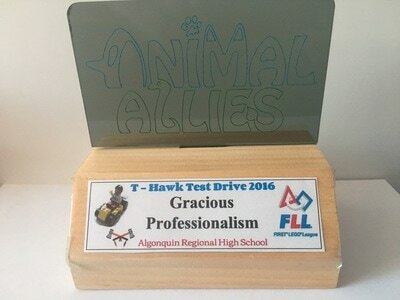 At a practice tournament ("T-Halk Test Drive 2016" that was held at Algonquin Regional High School, MA) we received "Gracious Professionalism Award"